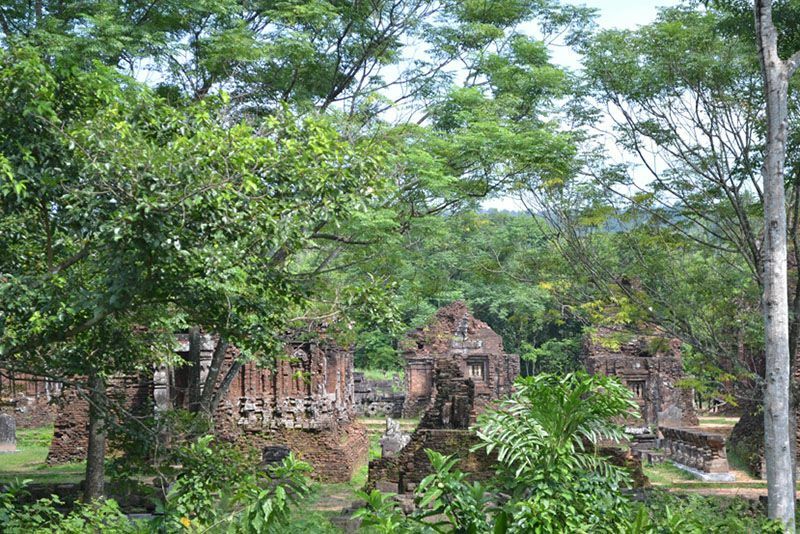 My Son sanctuary is a cluster of abandoned and partially ruined Hindu temples constructed between the 4th and the 14th century AD by the kings of Champa. The temples are dedicated to the worship of the god Shiva, known under various local names, the most important of which is Bhadreshvara. 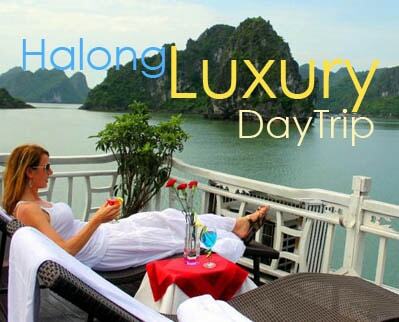 My Son is located near the village of Duy Phu, district of Duy Xuyen in Quang Nam Province in Central Vietnam, 70km southwest of Da Nang (45km from Hoi An), and approximately 10km from the historic town of Tra Kieu. 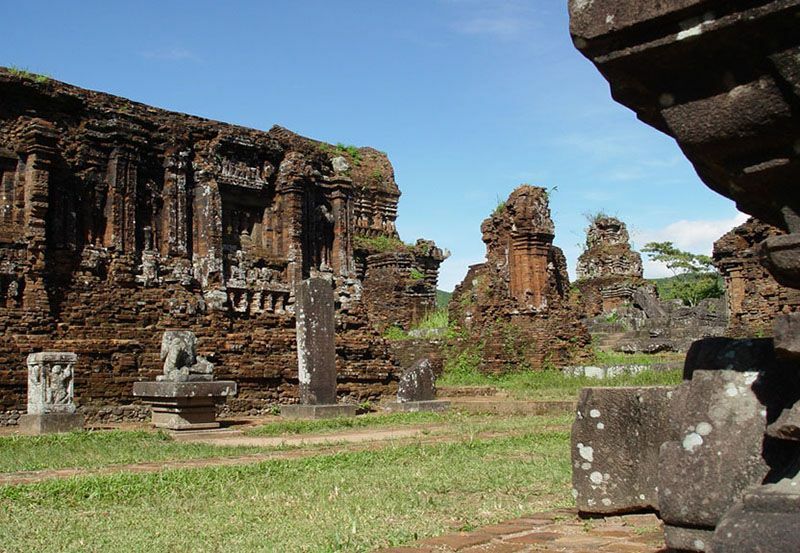 The temples are in a valley roughly 2km wide that is surrounded by two mountain ranges. 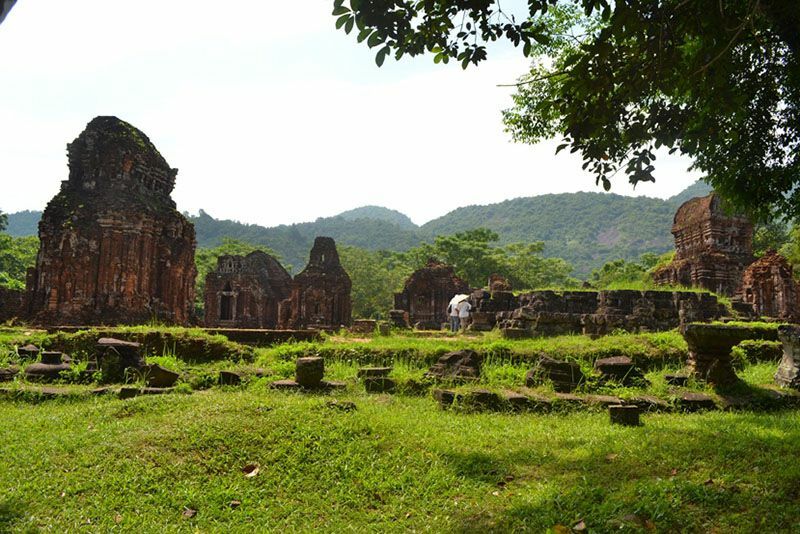 My Son holy land is perhaps the longest inhabited archaeological site in Indochina, but a large majority of its architecture was destroyed by US carpet bombing during a single week of the war. 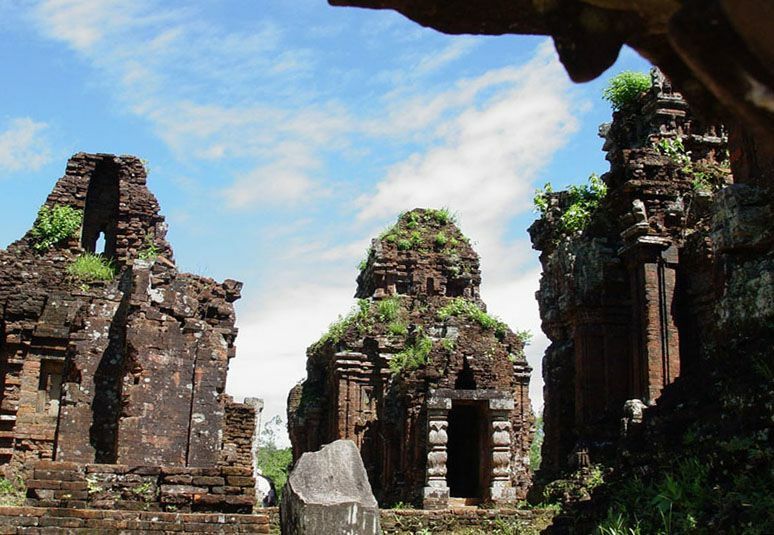 The My Son temple complex is regarded one of the foremost Hindu temple complexes in Southeast Asia and is the foremost heritage site of this nature in Vietnam. 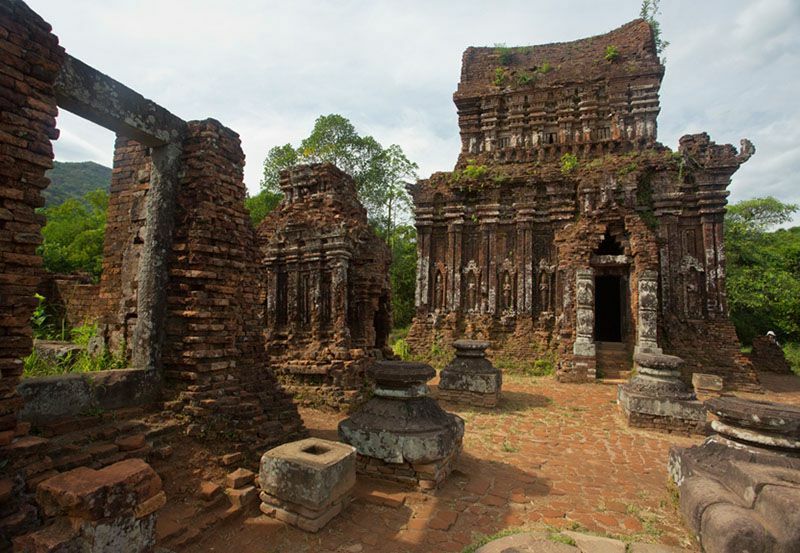 It is often compared with other historical temple complexes in Southeast Asia, such as Borobudur of Java in Indonesia, Angkor Wat of Cambodia, Bagan of Myanmar and Ayutthaya of Thailand. As of 1999, My Son has been recognized by UNESCO as a world heritage site. UNESCO accorded My Son this recognition pursuant to its criterion C (II), as an example of evolution and change in culture, and pursuant to its criterion C (III), as evidence of an Asian civilization which is now extinct. A kalan is a brick sanctuary, typically in the form of a tower, used to house a deity. 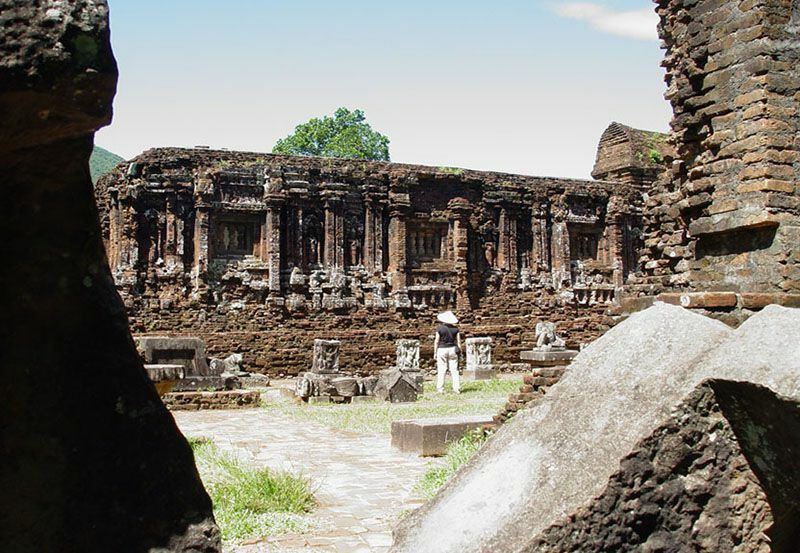 A mandapa is an entry hallway contiguous with a sanctuary. 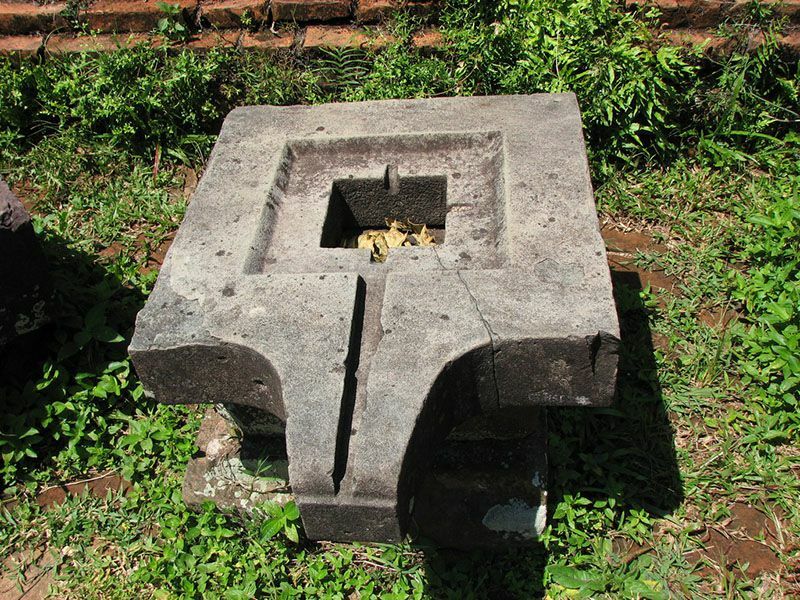 A kosagrha or “fire-house” is a construction, typically with a saddle-shaped roof, used to house the valuables belonging to the deity or to cook for the deity. A gopura is a gate-tower leading into a walled temple complex. 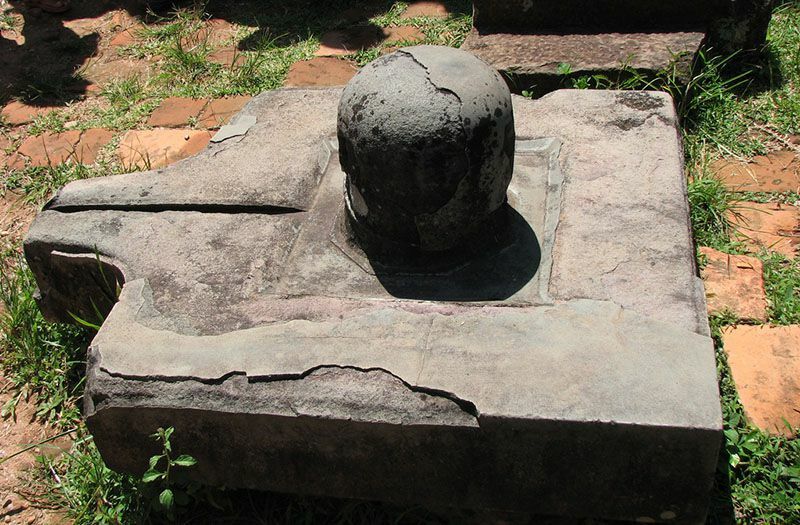 Most of the temples at My Son sanctuary were made of red brick, and only one (the temple labelled “B1”) was made of stone. 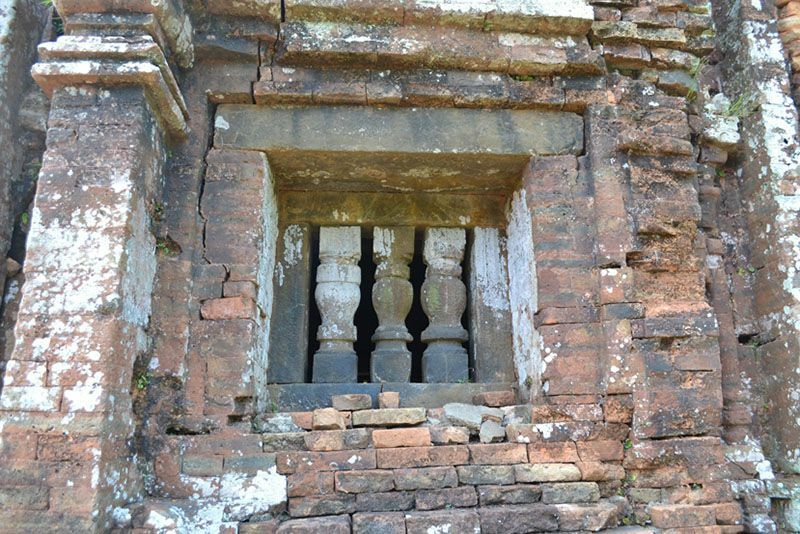 Even the decorative carvings on the Cham temples were cut directly onto the bricks themselves, rather than onto sandstone slabs inserted into brick walls as is observable for example in the 9th century Cambodian temple of Bakong. To this day, the construction techniques used by the Cham builders are not completely understood. Issues that have not been completely resolved include issues about the firing of the bricks, the mortar between the bricks, and decorative carvings found on the bricks. At what point in the building process were the bricks hardened by fire? Were the bricks hardened first, and then arranged in order to build the structures, or were the structures built out of partially hardened bricks, after which the entire structures were heated by fire to finish the hardening of the bricks? The hypothesis that the entire structures were reheated following assembly is supported by evidence that the mortar between the bricks was at some point subjected to high temperatures. The contrary hypothesis is supported by the observation that the structures bear no signs of scarring from large intense fires such as would be needed in order to reheat them as whole. How were the bricks stuck together? One hypothesis is that the builders at My Son developed a way to glue bricks together using tree resin native to central Vietnam. Another hypothesis is that the builders used a sticky mortar made from the same clay as the bricks themselves. The latter hypothesis is supported by chemical tests that have found no trace of any organic substance between the bricks, but instead have found mineral substances similar to those present in the core of the bricks. Today the mortar that once held the bricks together has largely decayed, and even a strong wind can knock loose bricks from the structures. At what point in the process were the decorative carvings made? Were the walls constructed and then carved, or were the bricks carved first and then assembled so as to create the walls? 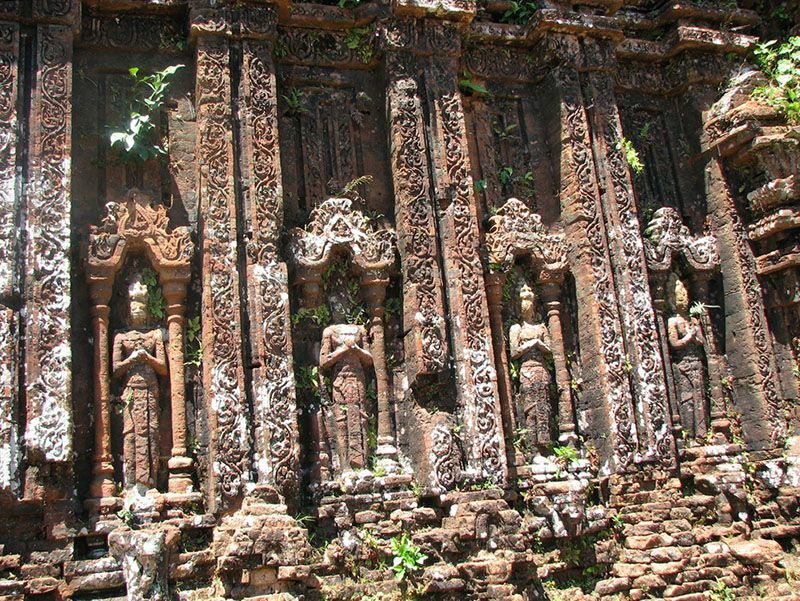 An examination of the carvings reveals no broken lines as would be expected if the bricks were carved first and then assembled; and as a result scholars have concluded that the Cham craftsmen made their carvings directly onto finished brick walls. 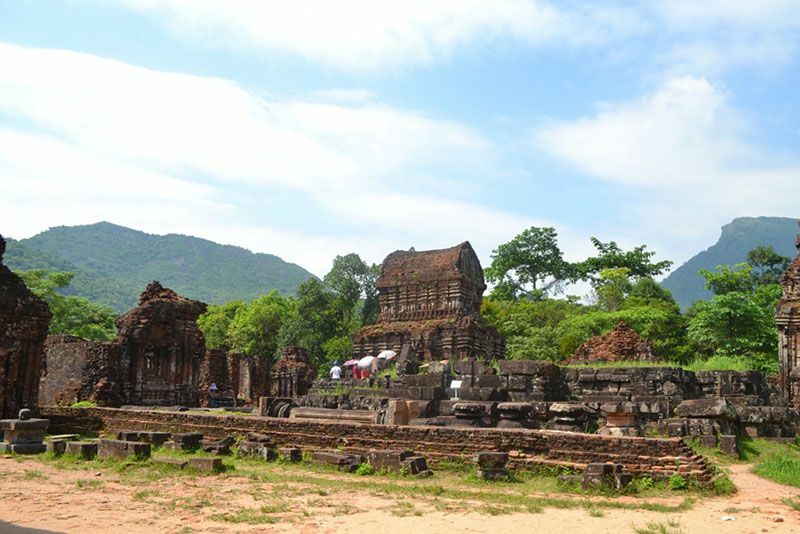 Visit to My Son relic, also you should not miss a performance of Cham performing arts – Apsara dance. This is an intangible cultural activity that is reproduced vividly in the My Son relic. Excerpts from Cham festivals, court dance, and religious dance are staged to help those who come to My Son to better appreciate the unique values ​​of the culture and civilization of Champa.